Natural Gas piping into a new facility is normally routed to the new building underground with natural gas plumbing materials, by personnel that are qualified and certified gas technicians to install the pipe and pressure test it; insuring the installation meets all building codes and is installed safely. This part of the installation normally ends, at the foundation of the structure. At the end of the underground gas piping, at the building foundation, the natural gas provider will install a gas meter. From the gas meter, that is located outside the building, the gas piping can be routed outside of the building (underground) to access the interior of the structure at numerous locations, as needed. 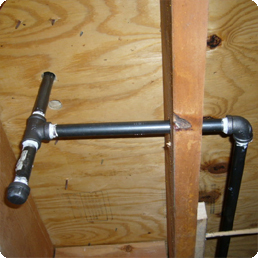 The gas piping can also be routed through the walls or through the attic. In most cases, gas piping is in the walls or attic where it is most accessible for change or repair and easier for adding to the system. Outside and inside the building there are a number of different types of gas piping materials that is available for use. 1- black steel pipe, 2- galvanized steel pipe, 3- flexible – corrugated stainless steel tubing (CSST); 4- Fusion bonded epoxy steel, 5- Yellow PE (polyethylene) gas piping. It should be noted that Yellow Polyethylene gas piping is the product of choice, with over 90% usage for gas piping in North America today. Check building codes in your city and state to determine what types of gas piping material are permitted. To retrofit a building for natural gas requires almost the same installation of gas piping as a new structure. The difference is that you may have to cut into the walls to route the piping or route the piping around or under the building to selected entry points, for attachment to gas appliances. All access and altered points into and throughout the building will have to be repaired and returned to its original state once the retrofit is complete. 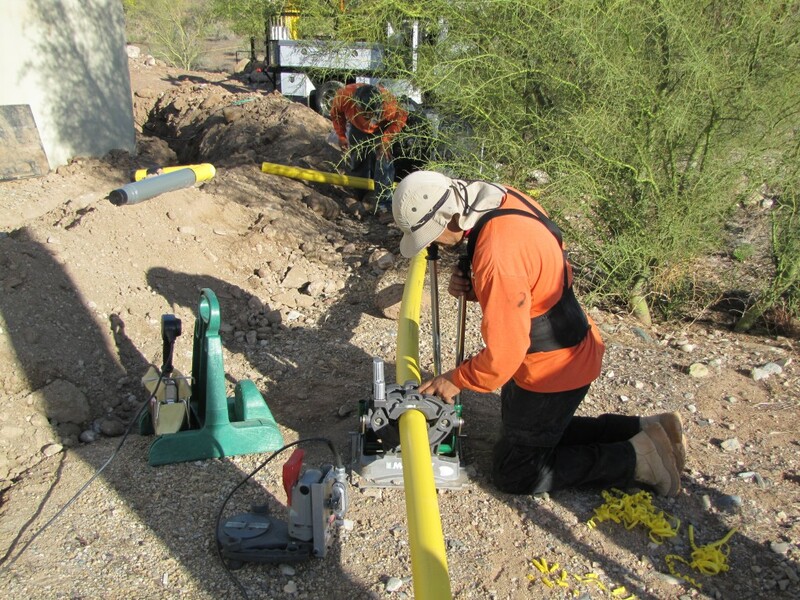 Building owners should remember to always use a licensed and certified gas piping contractor like RP Gas Piping to complete their natural gas projects. RP Gas Piping is knowledgable in all forms of new construction and what would need to take place to install natural gas into a existing building. Their expertly trained and highly qualified staff will work with you every step of the way to make sure your project is completed per city and state regulations and all gas piping codes. Always remember, natural gas is explosive, highly flammable and extremely dangerous and should only be handled by professionals. Contact RP Gas Piping today to speak with a professional about your next natural gas project.